The amount of processing that took place with these samples is close to ridiculous. First we started out with a fair number of samples from a TR-909 drum machine. These samples were then loaded into our E-mu E4XT Ultra hardware sampler which has a wealth of time stretching algorithms. The samples were stretched back and forward until they sounded like a nasty hard drive crash from the future. recognition, and is not for everybody. A big portion of the sounds were then processed and shaped with FXpansion Geist and thus re-composed into percussive sounds. Another portion of the sounds were mangled in the Ohmforce Symptohm granular sampler. Lastly, the most interesting sounds were selected to be compiled and processed one last time in FXpansion Geist. Apart from almost 400 highly processed percussion samples, there are five available kits for FXpansion Geist and five kits for Native Instruments Maschine - each with 80 additional sounds, which naturally have been processed even further. Format: WAV, Maschine and Geist. 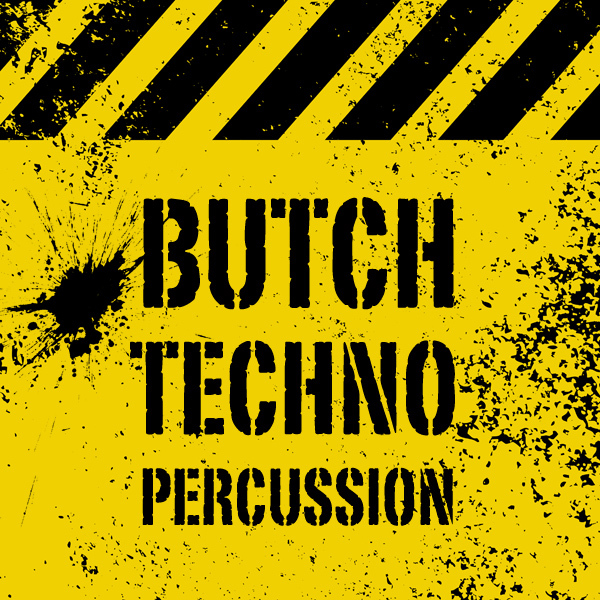 IMPORTANT - Butch Techno Percussion is a audio library, not a collection of sounds for synthesizers. Please check out the FAQ before buying.